Through this interactive workshop, participants will learn about neuroscience and what happens in the brain with different approaches to coaching. Participants will learn about Intentional Change Theory (ICT) (Boyatsis, 2006), a process that supports behavior change. Information, as well as partner and small group activities will include both Compassionate change and Compliance change approaches. A Compassionate approach is focused on the team or coachee’s vision and ideal self or team, while a Compliance approach is focused on the organization’s objectives and goals. Both are important for sustained change for both individuals and organizations. Through this workshop, participants will gain tools and tips to bring change to individuals and teams, and what happens neurologically in the brain when these approaches are used. 1.Build awareness of the Intentional Change Theory (ICT) as a psychological model for sustained behavior change. 2.Gain tools and methods that support a balance of both compassion and compliance approaches to drive successful, sustained change in behavior. As a dynamic consultant, executive coach, and educator, Sarah Scala has over 18 years of experience in supporting organization development, leadership, coaching, talent management, learning design,team effectiveness, and change management for diverse client organizations. Sarah brings high energy, optimism, and adaptability to new challenges. She has led talent development initiatives for start-ups to Fortune 100 companies as a partner and trusted adviser. She is passionate about creating solutions that strengthen interpersonal skills and support positive change with individuals, teams, and organizations. 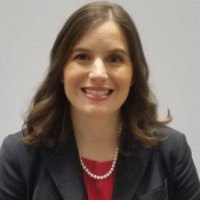 Sarah is the Founder and Chair of the Granite State Learning and Organizational Development Round Table, a professional association that provides learning and development to HR and Learning leaders. Sarah serves as Professional Associate for the Gestalt International Study Center and Vice Chair of Green Mountain College Alumni Advisory Board. In addition, Sarah is a member of the International Coach Federation, Human Resource Leadership Forum, Organizational Development Network, and Association of Talent Development / American Society of Training & Development.